Many people believe that Satan is on an all-out recruiting spree, especially targeting our youth with popular distractions. When he isn’t trying to corrupt young people by hiding secret messages in rock music, he’s warping their minds through games like Dungeons & Dragons. Those are just two recent examples of common things that caused moral panics with concerned parents, politicians, and bandwagon groups eager to play the blame game. But they are hardly the first. Most of us consider pinball machines to be a bit of harmless fun, but New York Mayor Fiorello LaGuardia thought otherwise. Back in 1942, he saw pinball as a form of gambling that was corrupting America’s youth. Moreover, he claimed that pinball machines were run by the mob, like most other gambling outfits of the time. He also used the “pinball is the tool of the devil” shtick to appeal to the temperance crowd. In January 1942, LaGuardia successfully got pinball banned in New York as a form of gambling, even when no money was at stake. LaGuardia staged photo ops with himself and police officers busting open pinball machines like they once did with alcohol barrels during Prohibition. He even used Pearl Harbor to his advantage by claiming that the metal wasted on pinball machines could be used for artillery and munitions. 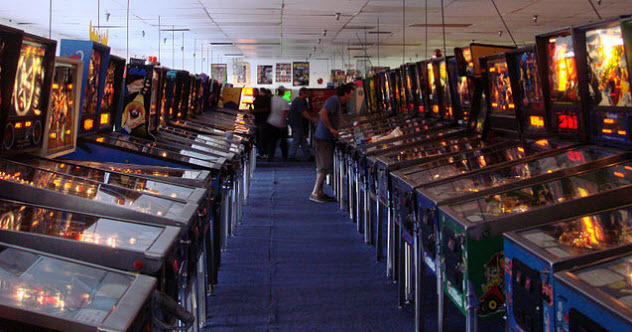 It wasn’t long until other big cities like Chicago and Los Angeles followed New York’s lead and also banned pinball. In New York, the ban lasted until 1976. Even then, an expert pinball player had to demonstrate to New York City Council that pinball was a game of skill and that it took more than dumb luck to get a high score. Anthony Trollope was one of the most successful English writers of the Victorian era, but he also had a strange achievement to his name—the introduction of the postbox to Britain. 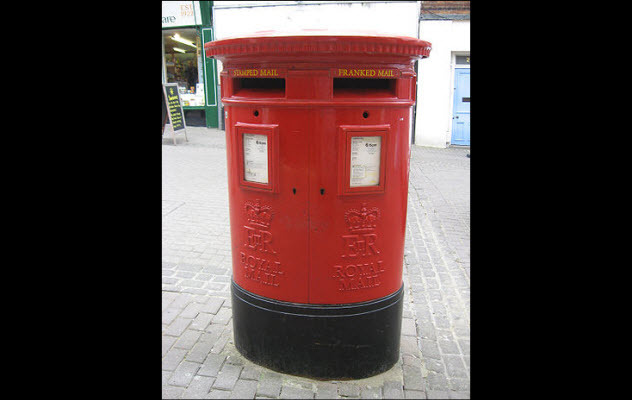 He wasn’t the first to have this idea, but it was his recommendation that was eventually approved and introduced postboxes to the Channel Islands in 1854. One year later, the postbox came to mainland Britain. Eventually, the red pillar-box (which was originally green) became a pop-culture British icon. Even today, there are over 100,000 postboxes in the UK. However, their immediate success proved unpopular with a large group of old-fashioned people who didn’t like the sudden freedom that postboxes afforded young women. Strangely, this included Trollope himself. With postboxes, women were free to converse with whomever they wanted in anonymity. Prior to this, young ladies had to ask their parents to stamp and send letters for them, which meant that their parents needed to approve of any potential suitors. Parents feared that their daughters were now eager and able to engage in relationships with men of ill repute and bring shame on their family names. 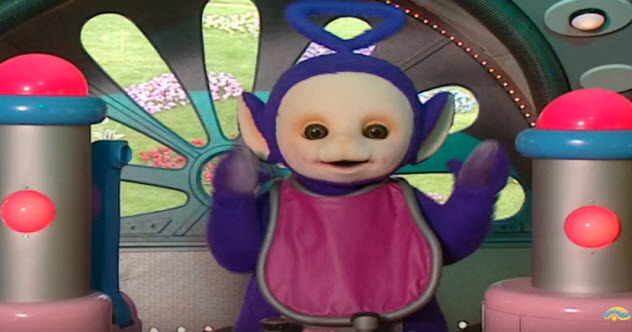 A kids’ show aimed at preschoolers, Teletubbies aired in Britain between 1997 and 2001. Featuring four anthropomorphic aliens that resembled toddlers, the show was noted for its colorful design themes, both in terms of the Teletubbies and their backdrops. However, some people took issue with Tinky Winky, the oldest of the Teletubbies. Tinky Winky was accused of being a secret gay role model because he was purple, carried a magic bag, and had a triangular antenna. This view was mostly promoted by American pastor and antigay activist Jerry Falwell. He saw the purple color and the antenna shape as covert symbols of the gay pride movement. The production company behind Teletubbies denied any kind of hidden symbolism, pointing out that each Teletubby has a different, vivid color and that it would be futile to introduce sexual symbolism in a show with aliens aimed at children aged 1–4. Even though the Falwell-generated controversy took place in 1999, claims of Tinky Winky’s hidden sexuality didn’t die down. In 2007, the same argument arose in Poland after an official for children’s rights saw Tinky Winky carrying around a handbag even though he was a boy. At that time, the Polish government was trying to limit the influence of homosexuality on children, so a psychological evaluation was ordered to determine if Teletubbies promoted a gay lifestyle. Out of eagerness to protect their children, parents are willing to believe almost anything and cause moral panics against things that don’t even exist. For example, around 2007, a rumor spread online that insidious drug dealers were using coloring and flavoring to disguise methamphetamine as Nesquik strawberry powder for flavored milk (aka “strawberry Quik”) so they could sell it to young children. Although drug dealers sometimes color their meth to brand their product, there’s no evidence that this was done to make the drugs more appealing to primary- and middle-school children. Many parents, schools, and local law enforcement agencies were taken in by this dastardly rumor. But an investigation by the US Drug Enforcement Administration (DEA) dismissed the whole story as an urban legend. Even so, this didn’t prevent the strawberry Quik meth myth from migrating to other countries. Eventually, their law enforcement agencies came to the same conclusions as the DEA. Nowadays, there are plenty of people who protest that dances are much too sexual and are corrupting our youth. Twerking might be the target du jour, but moral panics sparked by sensual dances are nothing new. In fact, they’ve been around for hundreds of years, starting with the waltz. A few centuries ago, people had two main problems with the waltz. First, it was too personal with far too much touching. Sure, people usually wore gloves, but that body-against-body action was too risque for 18th-century Vienna. Second, it lacked the order and grace of traditional ballroom dance. It had no general pattern, and a pair could waltz with little to no regard for the other dancers. Originally, the waltz was a dance popular with the working classes throughout 18th-century German states. Slowly, it sneaked into high society, and by the 19th century, it was one of the trendiest dances in the world. The moral outrage from religious leaders did nothing to diminish its popularity. Soon enough, the waltz spread from Vienna to other places, where it proved to be just as controversial. In England, for example, it was decried as an obscene display fit for “prostitutes and adulteresses,” but not for the respectable classes. In general, all the bad things that people say now about Twitter and online news were the same things that people said about the telegraph 150 years ago. This invention did not have a lot of fans when it was first conceived. In fact, there were two major groups that fervently opposed it: politicians and the media. Newspapers often bad-mouthed the telegraph, perhaps out of fear of being made irrelevant. (They later did the same thing with radio.) They argued that the speed at which the telegraph could provide news was simply unnecessary. When just 10 days would bring the news from Europe to America and vice versa, what need could there be to deliver it in 10 minutes? Traditional media branded the telegraph as untrustworthy and superficial. The US government was also wary of the device. 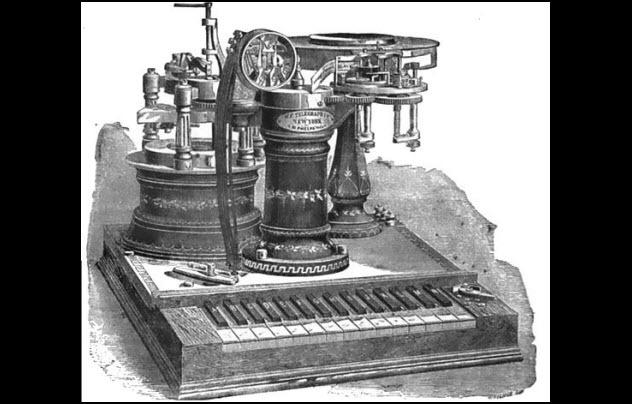 When Samuel Morse offered to sell his telegraph system to the government for $100,000, they said no. While some politicians saw the telegraph as a mischievous device that could be used for evil, others were more practical, opining that the cost of installing and operating a telegraph between two cities far outweighed any potential revenue. Long before parents feared strawberry Quik meth, they worried about LSD-laced, temporary tattoos. These were allegedly targeted at young children to get them addicted to the drug. Starting in the 1970s or ’80s, this story was passed from parent to parent through flyers. Although it’s uncertain how the myth started, one source points to a report from the Narcotics Bureau of the New Jersey State Police. According to the flyers, the tattoos usually came in the form of a blue star but were also available as cartoon characters like Mickey Mouse and Superman. 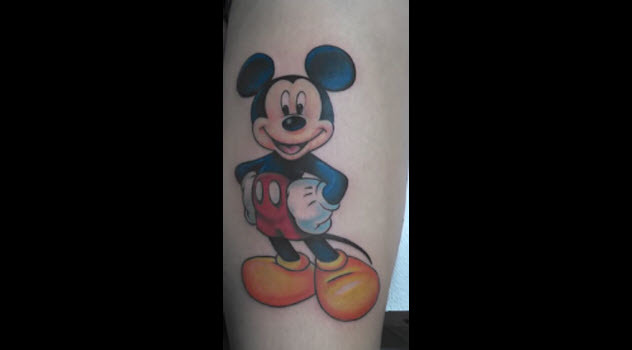 Supposedly, this made the tattoos more appealing to kids. The flyers also warned that the drug had caused fatalities among children because the LSD was cut with strychnine. Besides the fact that there are no recorded cases of this ever happening, the flyers contained several inaccuracies. For starters, LSD is considered a nonaddictive drug, and it doesn’t contain strychnine. Also, while LSD can come in the form of blotter paper shaped like cartoon characters, the paper is chewed, not tattooed. A lot of people weren’t happy when Edison invented the phonograph. Again, newspapers were quick to criticize a new form of media that could be a threat to the traditional written word. The New York Times asserted that the phonograph would “destroy all confidence between man and man.” They argued that the constant fear of being recorded would render people afraid to say anything but the most tedious and innocuous things, even in the comfort of their own homes. The newspaper warned that the recordings would include children swearing, young men making licentious remarks to ladies, and women saying how ugly their friends’ furniture was. Even worse, Edison invented the “aerophone” (not the musical wind instrument) that could amplify sound, making it audible up to 6 kilometers (4 mi) away. Obviously, this meant that everyone would start making a loud racket day and night until people would be forced to seek refuge from the aerophone in the forests, plunging us into a new Stone Age. Musicians were also unhappy with the phonograph. John Philip Sousa, “The March King,” was a notable, outspoken opponent of mechanical music and would often quip that the phonograph would lead to the demise of music. 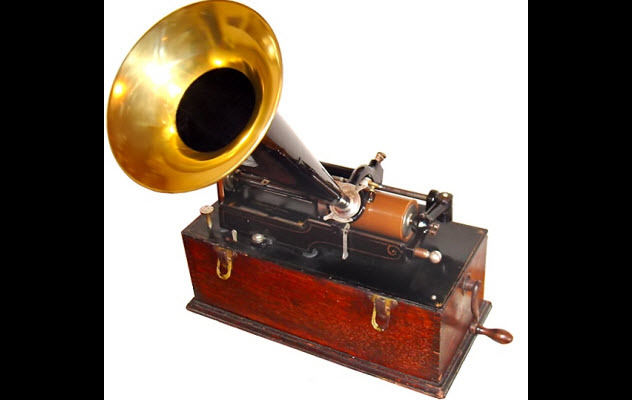 The phonograph also allowed people to listen to his music without compensation. Claiming that video games waste time and promote violent behavior, critics argue that people should play chess instead because it’s an intellectually stimulating game. However, 150 years ago, people had the same complaints about chess. Back then, some critics merely decried the game as boring and antisocial: Two people sat in almost complete silence for hours, protesting any noise or distraction around them. 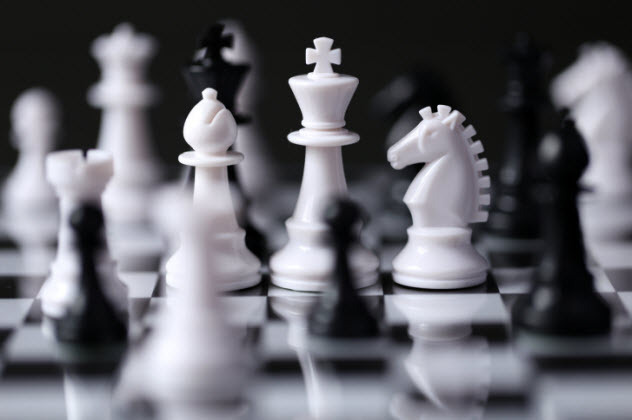 Many others mocked the notion that chess could be considered intellectual or strategic in any way. The biggest critics pointed out that chess could lead to violent tendencies, especially among those with obsessive behavior. The warlike theme of the game was unusual at that time. Also, the triumph or disgrace attached to a victory or defeat, respectively, meant that people would probably take it too seriously. The lightning rod is an often-forgotten contribution of Benjamin Franklin. Even though Franklin presented it around the mid-18th century, it took a few decades for the lightning rod to become an acceptable accessory because it was deemed heretical by the Church. Church officials believed that lightning represented the wrath of God, and any attempt to stop it would only make things worse. During a thunderstorm, their solution was to send someone up in the tower to ring the bells as a sign of appeasement, although this led to dozens of electrocution deaths every year. Trying to “control the artillery of heaven” with Franklin’s lightning rod was simply heretical. One Boston pastor named Thomas Prince even blamed Franklin for the Massachusetts earthquake of 1755. He argued that because God couldn’t hit us from above, He made the ground tremble beneath us. Fortunately, Franklin had great influence and powerful supporters. 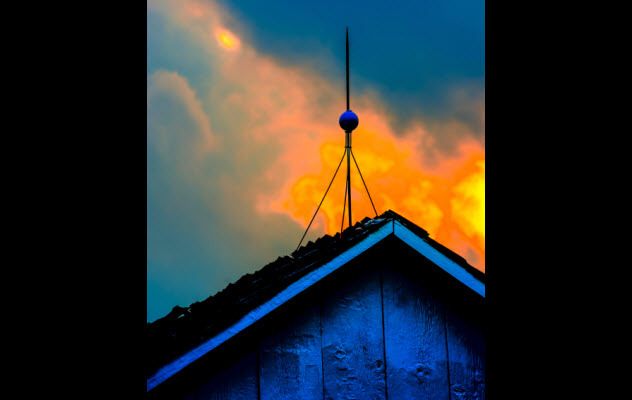 So the Franklin lightning rod slowly, but surely, came into common usage. It also helped that mortality rates dropped dramatically for bell ringers employed by churches with lightning rods. Eventually, the real consequences of lightning strikes began to outweigh people’s religious fears. In 1767, the same year that a church in Brescia, Italy, refused to install a “heretical rod,” the church was struck by lightning while it had thousands of pounds of gunpowder in storage. The ensuing explosion killed 3,000 people and leveled one-sixth of the city.